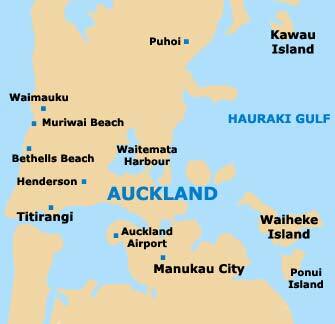 Around one in three New Zealanders live in Auckland, which in many ways resembles its trans-Tasman rival, Sydney. Both cities are ambitious and aspirational, marked by soaring skyscrapers and glittering harbours, and both have a sense of laid-back relaxation, and even decadence, despite most residents conducting a love-hate affair with their home town. Auckland is New Zealand's biggest and most expensive city, but Aucklanders, as they are known, regularly list the cost of living and especially the price of property and cost of rent in Auckland, as their main gripe about the city. It costs at least a third more to purchase a property here than in any other city in New Zealand. The global economic downturn has not made much of a dent in Auckland's buzzing economy and it remains on the upswing, despite many other cities in New Zealand going into a period of stagnancy and falling real estate prices. New waterfront developments are regularly bought 'off the plan' in Auckland, and are snapped up by eager owners and investors before they are even constructed. Popular places to set up home in Auckland include trendy Newmarket and smart Parnell, while multicultural South Auckland and rugged West Auckland are also desirable. Beach lovers may prefer the sea-facing North Shore. Auckland is far and away the business capital of New Zealand. For government and administration, Wellington, the national capital, holds sway and Christchurch, on the windy plains of the South Island, is justifiably the university city of New Zealand. 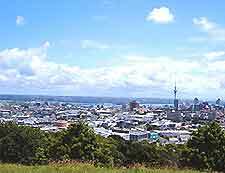 Auckland draws tens of thousands of commercial travellers every year, who come to stay for several days or a week on various forms of business. This means that the serviced apartment scene here is geared towards the business traveller rather than the holiday maker, and as a result, CBD serviced apartments tend to be about a third more expensive, for a typical week-long stay, than comparable longer-term lease apartments. The establishment of the Overseas Investment Office (OIO) has meant that the process of foreigners buying property in Auckland, or anywhere else in New Zealand, has become increasingly streamlined. Foreigners are able to buy property in New Zealand even without the intervention of the OIO. Buying a house or an apartment in Auckland is much the same as purchasing a property anywhere in the industrialised world. Once a private attorney or the OIO has provided the appropriate paper work, sales proceed as they would for a New Zealand national and there are no particular restrictions on foreign ownership. Finding a reliable and efficient real estate agent in Auckland is half the battle, as there are many to choose from and not all have the buyer's best interests in mind. While it is tempting to go for those with the largest portfolios, this aspect alone is not an indicator of reliability. Picking an agent that has good customer reviews, along with a quality website, is recommended. Bayleys operates offices across New Zealand. Of their seven Auckland offices, this central agency offers the best spread of off-the-plan and older homes within the boom suburbs. A friendly and knowledgeable realtor with a slant towards modern apartments near the harbour. Established since 1923, this is one of the oldest real estate agencies in New Zealand.